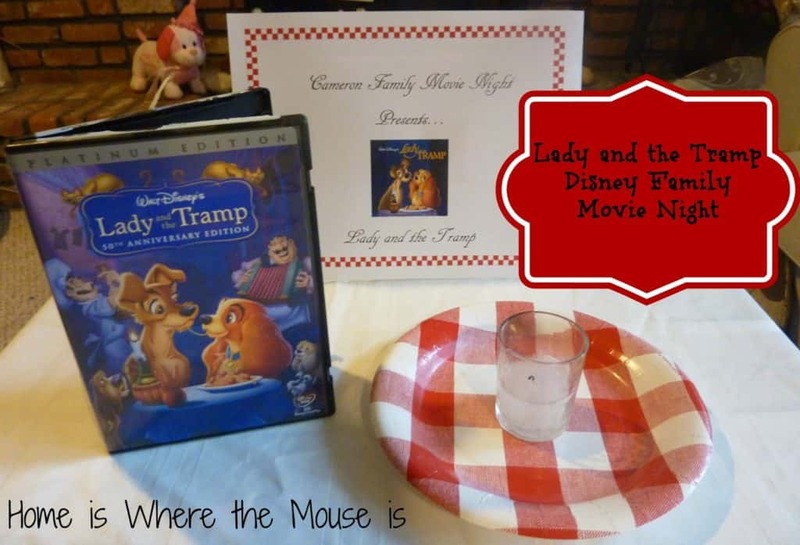 A fun family movie night does not need to be a big production. 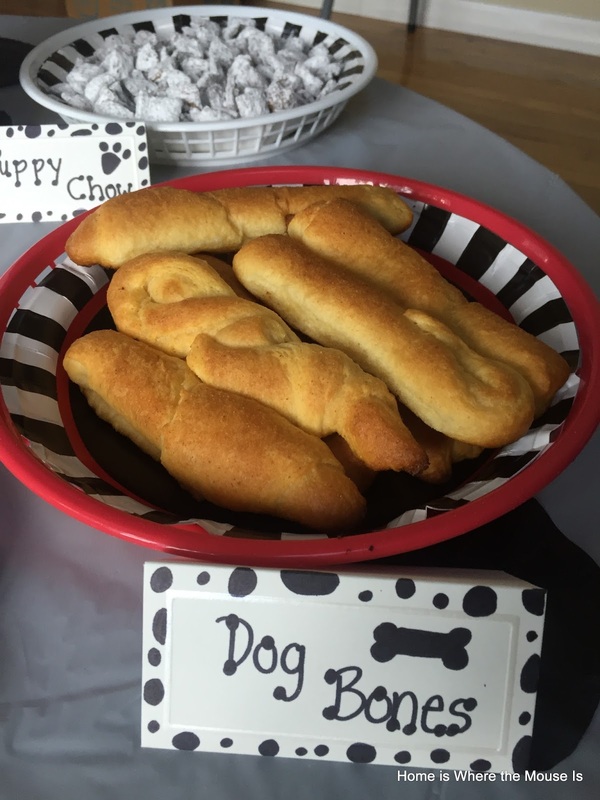 All you need are a few simple recipes, some creativity, and you’re on your way to a great time. 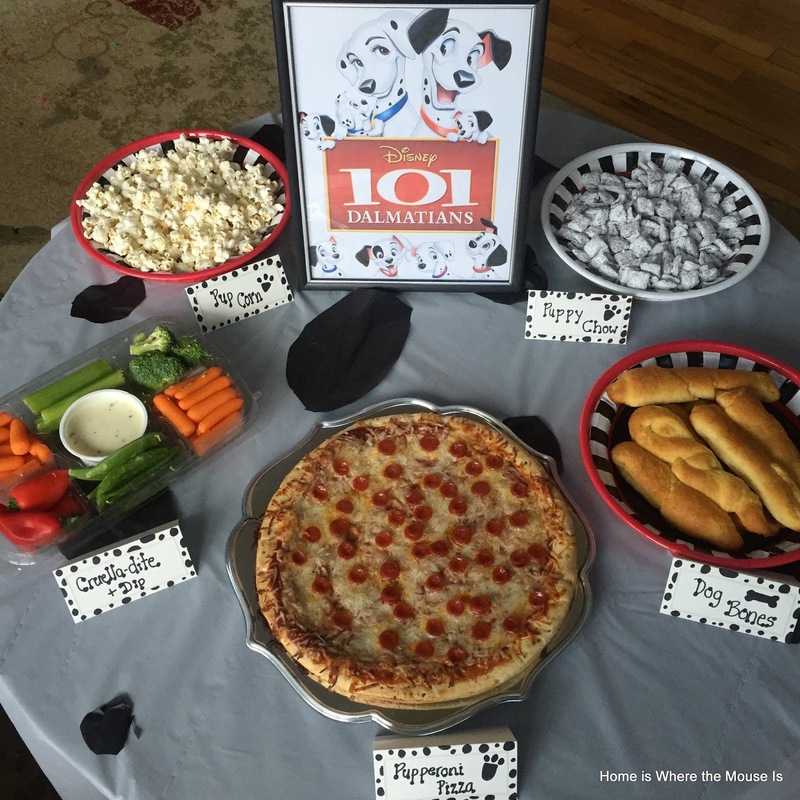 Here is an idea for an easy 101 Dalmatians Disney Family Movie Night that you can put together in no time. 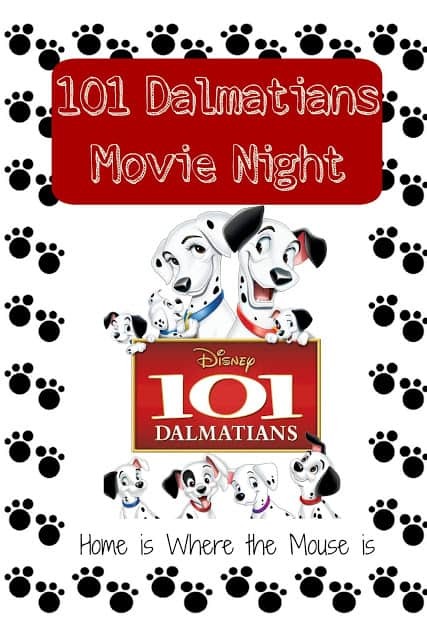 Since we got back from vacation the kids have been begging to have a Disney Family Movie Night. 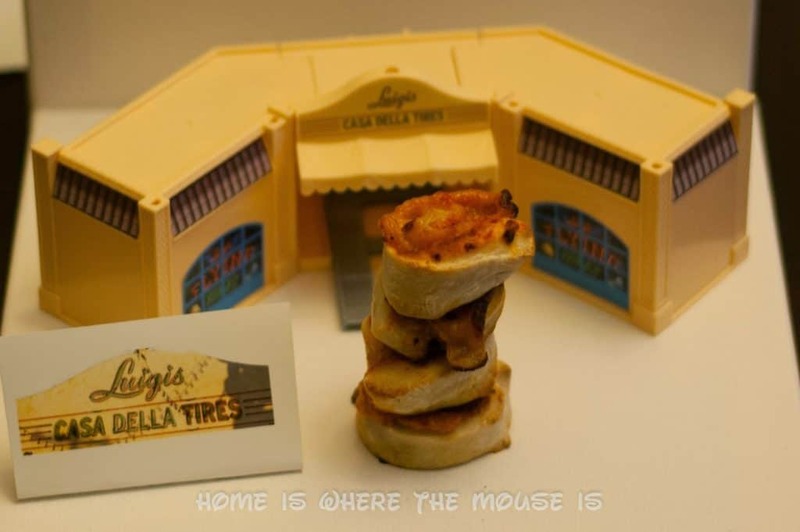 Not only do we use them to countdown to our vacations, but their also a way to help us beat the post-vacation blues. 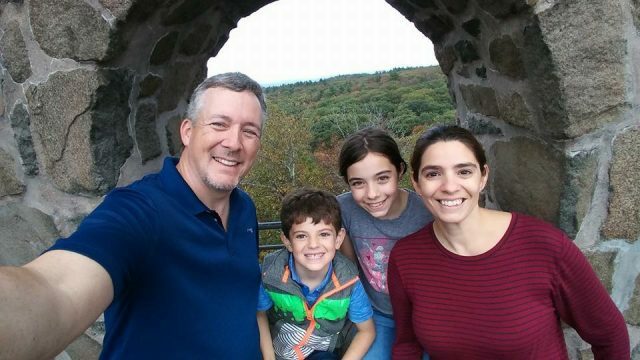 As summer winds down here, were trying squeeze in as many family moments as we possibly can. 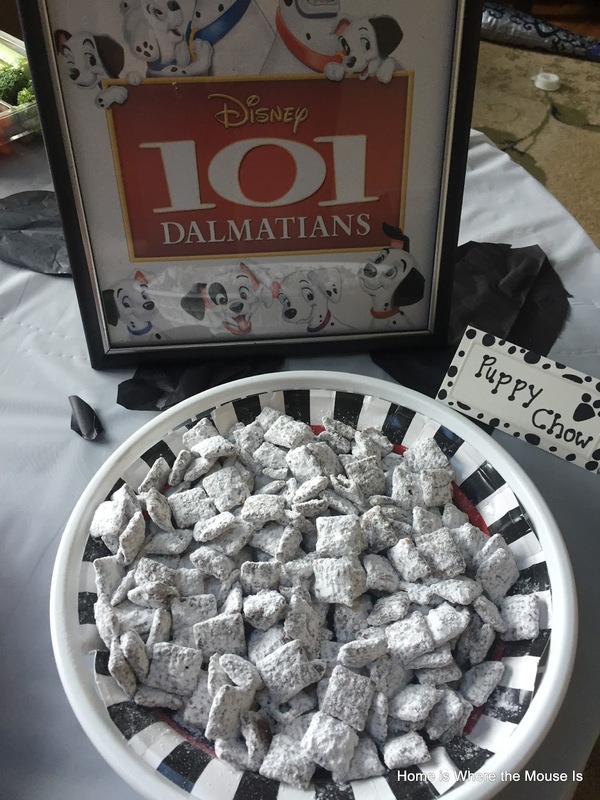 We chose to do 101 Dalmatians for a few reasons. First it’s a Disney classic. The kids get wrapped up in the new productions that we rarely get to watch the vintage films. Also, 101 Dalmatians is a movie I feel like I’ve seen but don’t really know very well (turns out I only saw half of it). The kids felt the same way. Plus, I suspect they think getting me to watch a movie about dogs will change my mind about getting one. I think not. 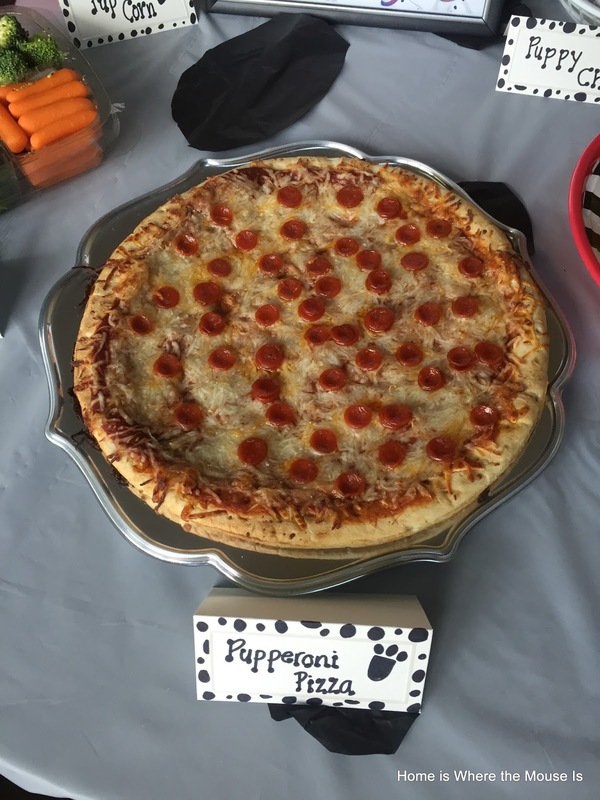 We kept it simple by using a white tablecloth. 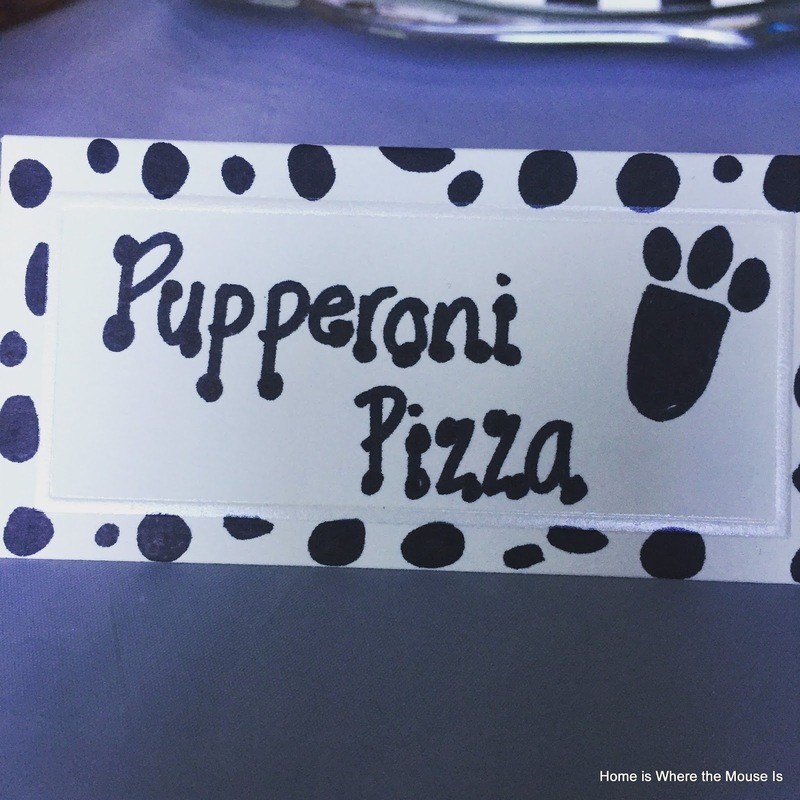 Bella cut out black circles and taped them on the tablecloth to create a dalmatian look. I picked up black, white and red paper plates while I was shopping for the food. For the tent cards, I used some old place cards that I had lying around. 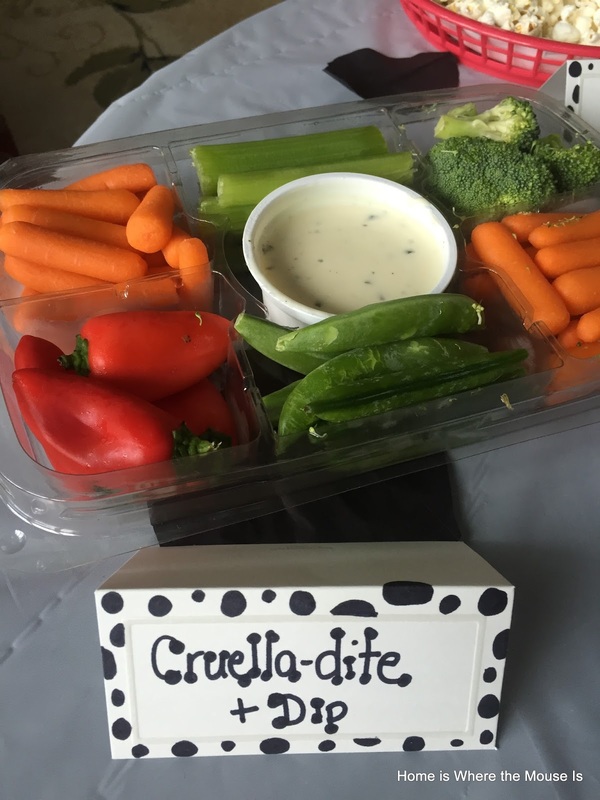 I drew some spots and added a paw print and ta-da…dalmatian print food cards. 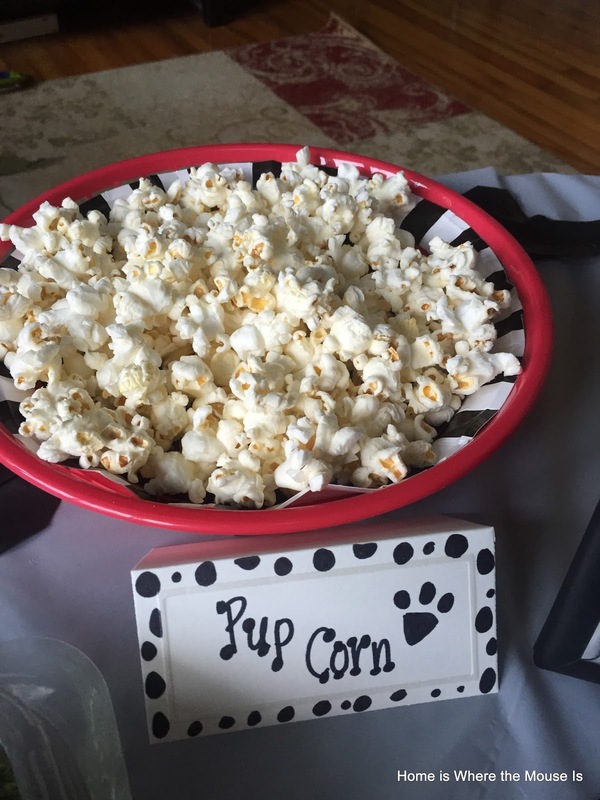 “Pup”-corn, a movie night must! For dessert I made Puppy Chow (corn chex with melted butter, chocolate and peanut butter rolled in powdered sugar). The kids were obsessed. I think I’m going to be making this one for a long time to come. That was it, easy-peasy! It didn’t take a lot to have a movie night that the whole family enjoyed.